By September 1899 Tom Crean had made it to the rank of Petty Officer 2nd Class, and shortly afterwards he was assigned to Ringarooma, which was operating in Australian waters. In 1901,while docked at the port of Littleton in New Zealand, the captain of Ringarooma was asked to lend assistance to Robert Falcon Scott, as he readied his ship Discovery, for an exploration foray into the uncharted, wastes of Antarctica. Work parties were duly dispatched to help with the final preparations, and Tom Crean was most likely amongst their numbers. One of the crew aboard Discovery, a man by the name of Harry Baker was involved in an altercation, and struck a Petty Officer. Harry Baker decide not to hang around for his impending punishment and instead he deserted, leaving Discovery a man short. Scott’s only hope of replenishing his crew, was to request a replacement from the captain of Ringarooma, and when the call went out, it was 24 year old Tom Crean who volunteered to voyage southwards with Scott. 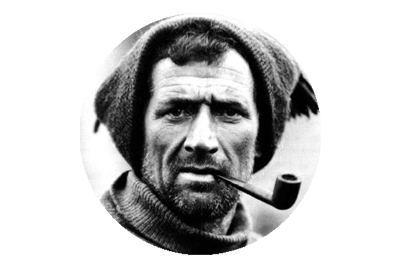 Crean would partake in five major sledging journeys on the Discovery expedition and was one of a group of twelve men who would stand at 79º 15′ S. This was the furthest south any humans had been at this time, and Scott, Shackleton and Wilson forged ahead in an attempt to reach the Pole, whilst the others returned. 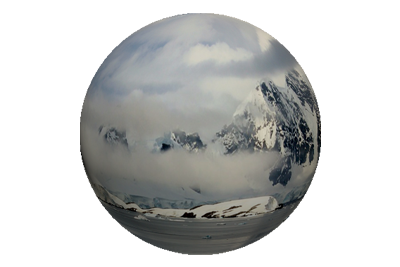 The three man team would make it to 82º 17′ S, before abandoning the quest, almost 500 miles short of the South Pole, and suffer a tortuous return trip, which they were lucky to survive. 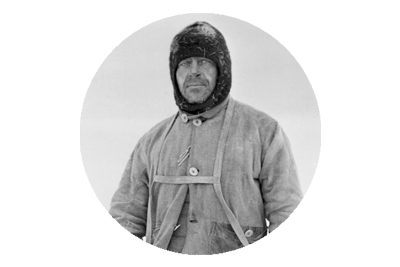 On the Discovery expedition, Tom Crean also experienced being caught out in temperatures as low as -54 C, falling through thin ice into frigid waters, twice almost losing his life as a result and of course living on a ship that is completely entrapped by ice, for almost two years. When Discovery finally slipped from its icy hold and returned to Portsmouth in September 1904, Tom had firmly established himself as one of the most reliable and valuable crew members aboard, so much so that Scott singled him out for special mention for his ‘meritorious service throughout‘ and promoted him to Petty Officer 1st Class. 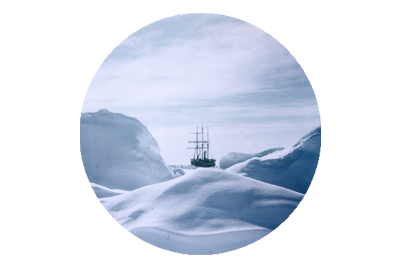 On the 30th of December 1902 Scott, Shackleton and Wilson established a new ‘Furthest South’ record, on the Discovery expedition. They had trekked over 270 miles across Antarctica, reaching 82º 17S. All three, but Shackleton in particular, would suffer greatly on the return journey, from frostbite and scurvy. The eventually made it back to base on February 3rd 1903, after covering over 960 miles.